Our new designation of “1Z” has officially hit the road. 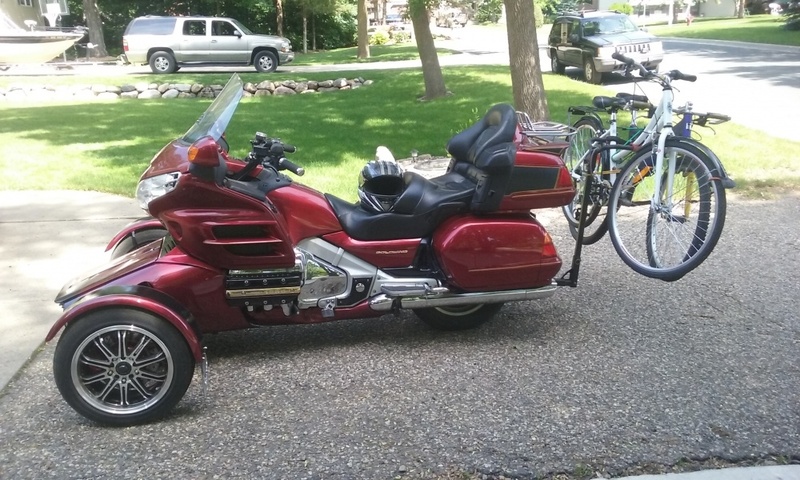 Local customer Doug L just picked up his 2008 GL1800 Endeavor Trike and is now ready to go anywhere over any road surface as the 1Z tag denotes. 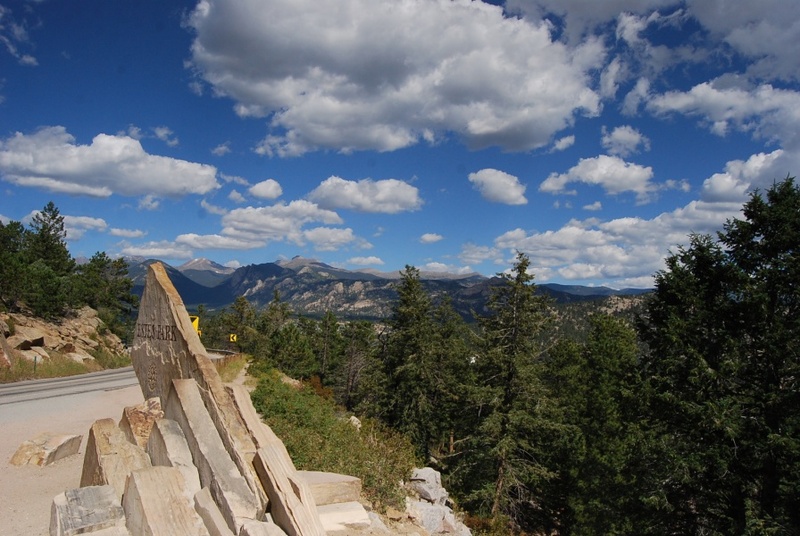 Well it’s just the way I roll – the world went to Sturgis so we went to Colorado. Enjoyed the mountains, trout streams and fly fishing along with that best of all “Old dirt road” or the Old falls river road. All dirt but very scenic. Only a few pictures as my camera went dead part way up. My wife enjoyed here own kind of Endeavor. As expected there were many Sypders and new to me was the variety of custom wraps for them. Some very impressive machines, well done to all the CanAm owners. 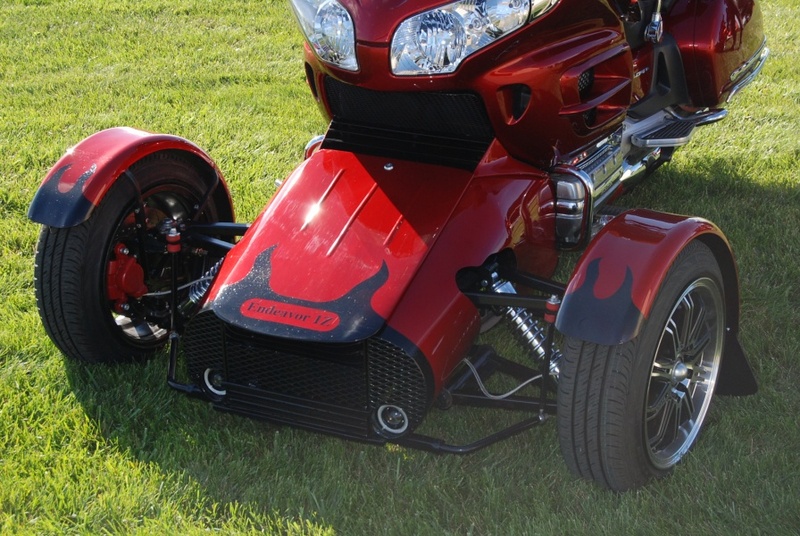 Also many exotic, home grown and customs including VW trikes. Also much impressed. And now First with edge trim lighting. “NEW” we are not not only powder coating our frames and running gear but also will do the rear rim in powder. 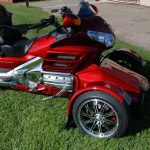 This will add to the zero maintenance profile of Endeavor Trikes. 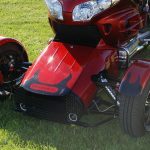 New for 2016 all our Endeavor builds will feature the new Z1 tag as Endeavor is a SportTrike which is not only universal in fit but also in function, It can go from one end of the spectrum to the other. Ride the highway or jump off on the gravel and min maintained roadways. There are no limits. The beautiful state of Wisconsin has 117 roads designated as “Rustic” they are a mix of paved, gravel and even stream crossings. Do 10 and get a patch 25 and a certificate from the state. So far I have 17 and the patch. 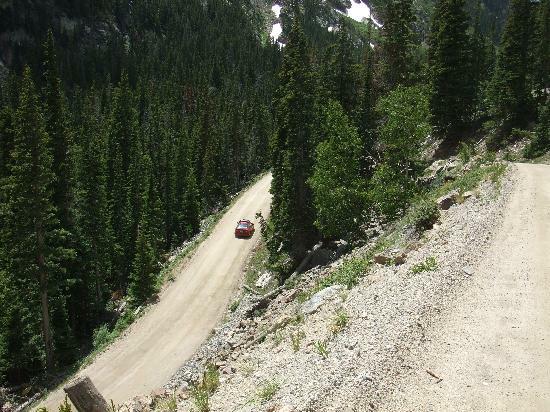 RR51 is gravel and requires 4 stream crossings, RR91 is mostly gravel with deep ruts and deer. 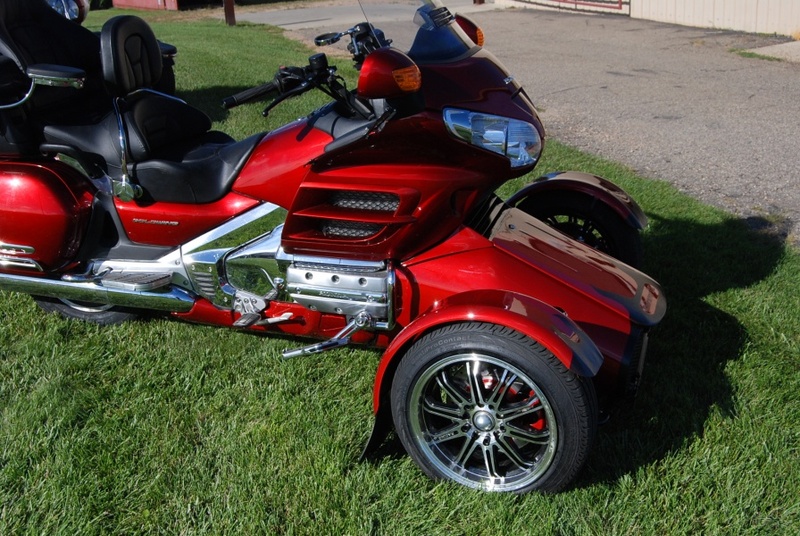 Part of a two part review by Minnesota Motorcycle Monthly magazine. One part done in fall of 2015 and the second half this spring. 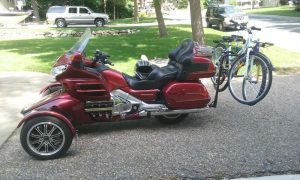 Try this with a regular motorcycle, A trike that can go anywhere even biking.